When ordinary persons deficient in the knowledge of complex subjects such as the operations of banks and what for instance lead to their flourishing or otherwise talk loosely and expose their ignorance they should be pardoned. Of course, the subject they dabble in is beyond their ken to warrant their lambasting. However, when those expected to be knowledgeable and therefore censure their remarks before letting them out throw such standards overboard and spew out nonsense, they can best be described as silly or hypocritical or both. 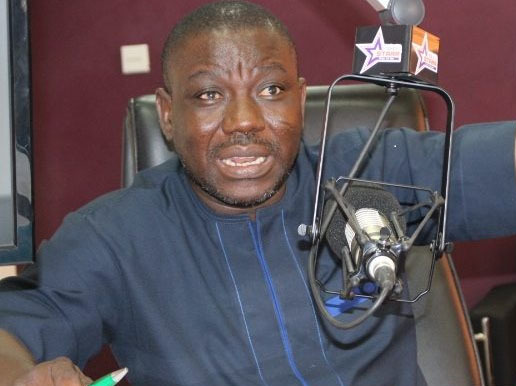 An MP in the august House of Parliament, Isaac Adongo, is close to an embarrassment to his constituency and the NDC to which he belongs for letting out untruths about the collapsed banks in an unproductive bid to let government and for that matter the Bank of Ghana (BOG) look vindictive and render its action regarding the now merged banks unnecessary. Unless those remarks represent the position of the NDC, a disclaimer from the grouping would be desirable so they do not lose the remaining string of deference to their name. It is household knowledge in the country and even beyond that critical breaches were committed in the management of the collapsed banks – a situation which called for urgent intervention to save monies lodged by depositors. Is it therefore not nonsensical for the MP to talk the way he did when he sought relevance in the brouhaha about the banks? What about the whopping amount of money in lifeline doled to the now merged banks? That for Isaac does not matter because after all he belongs to a party for which monies from the state coffers are meant to be squandered. People should cease giving politics a bad name as the ilk of Isaac are doing? We have gone past that milestone of political pranks. It is unacceptable to seek to create the impression that government is on a vilification path and that the NDC when the party returns to power would reverse the action taken by the apex bank. What garbage and outright mischief! Such remarks do not win elections and so if the source of it seeks just that he has failed. The mess the financial sector would be thrown into when such a character is put in charge of it can only be imagined. Fortunately, his kind can only be active only when gutter politics is activated as it is now. Not when serious business is on, of course. The owners of the collapsed banks know how the journey to their appalling end started and what they sought to gain by taking that route. A serious issue which threatened the basis of our banking sector should not at all be left to the whims of attention seekers unless, as some think, he was doing the bidding of the NDC. If Isaac is bereft of the relevant knowledge to appreciate what really went wrong and to warrant the appreciable action the Governor of the Bank of Ghana took, let him engage the experts to school him through a crash programme. It would appear that he loves dabbling in matters of the economy and would therefore find such lessons valuable on the campaign trail notwithstanding his qualification in Banking and Finance.